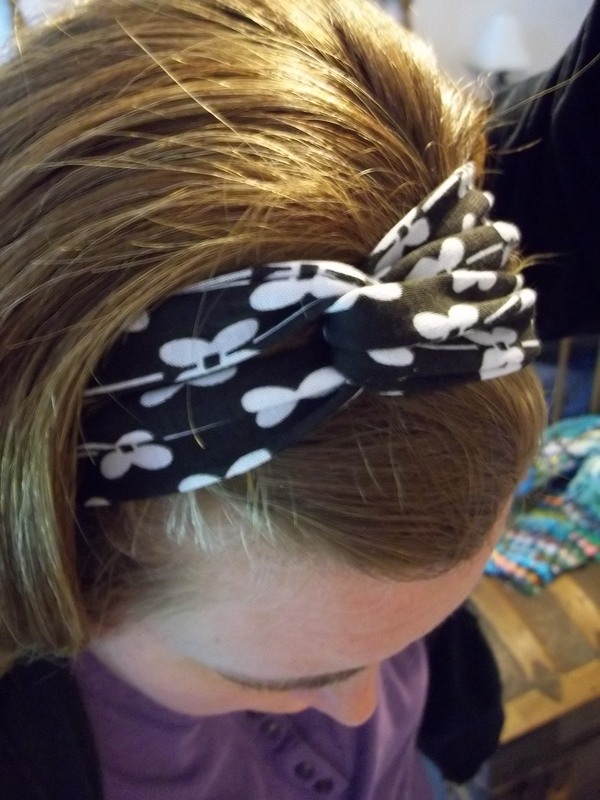 I fell in love with a couple of twisted style headbands I discovered on Pinterest and tried to replicate them. The pink print one is made from an old scarf and the black and white one is made of knit material that I had in my fabric stash. 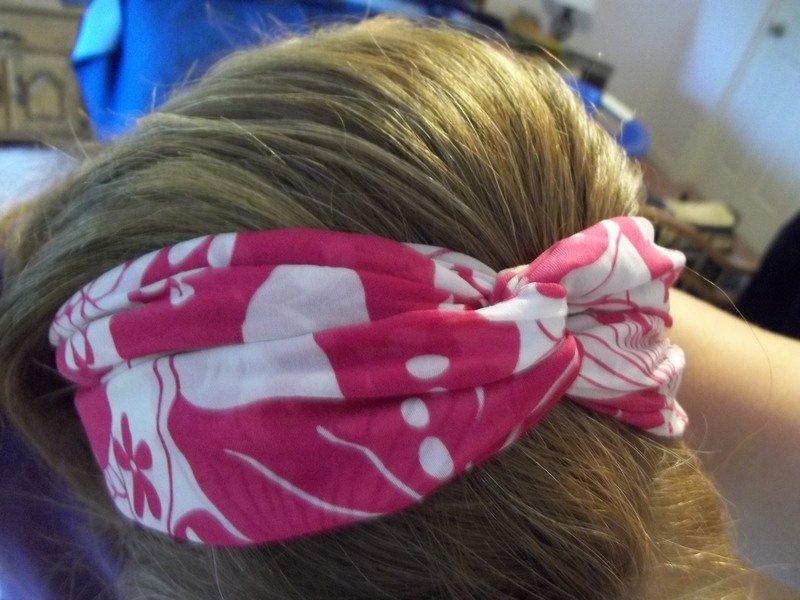 I took pics of how I made the pink one. 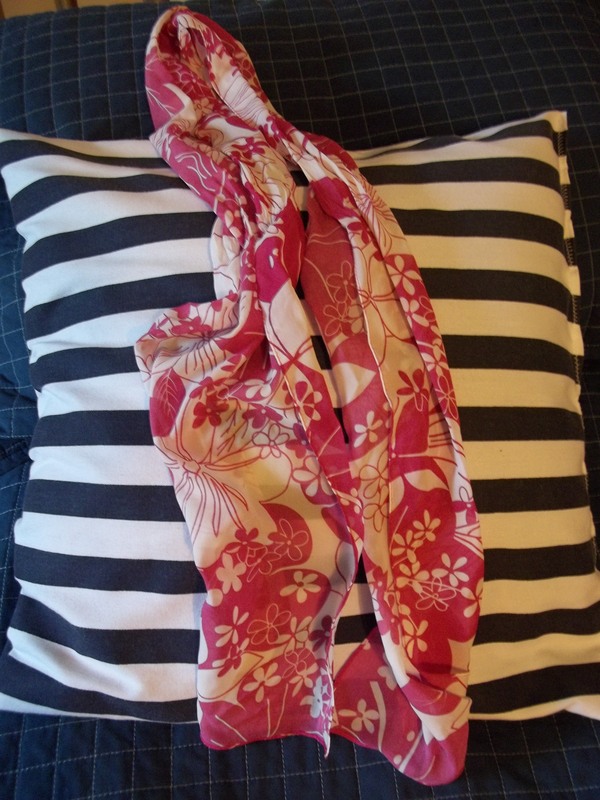 In this case I took a long lightweight scarf I was no longer using for that purpose and cut it in half. 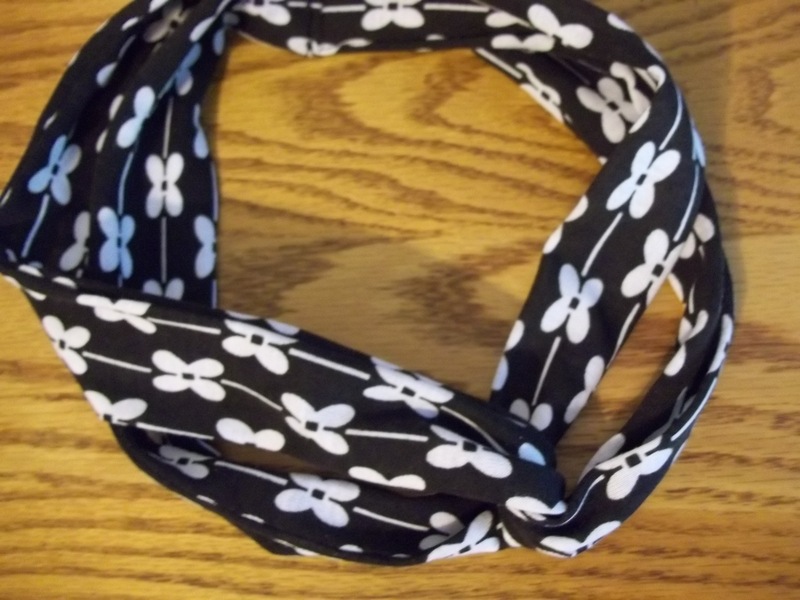 For the black and white headband I used two long pieces of fabric (maybe 4″ by 20″?) 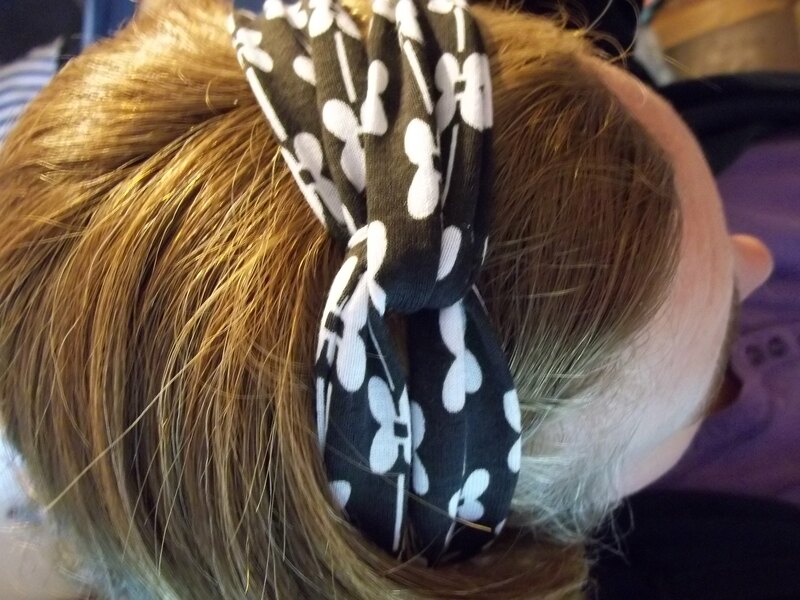 and sewed them into 2 long tubes. 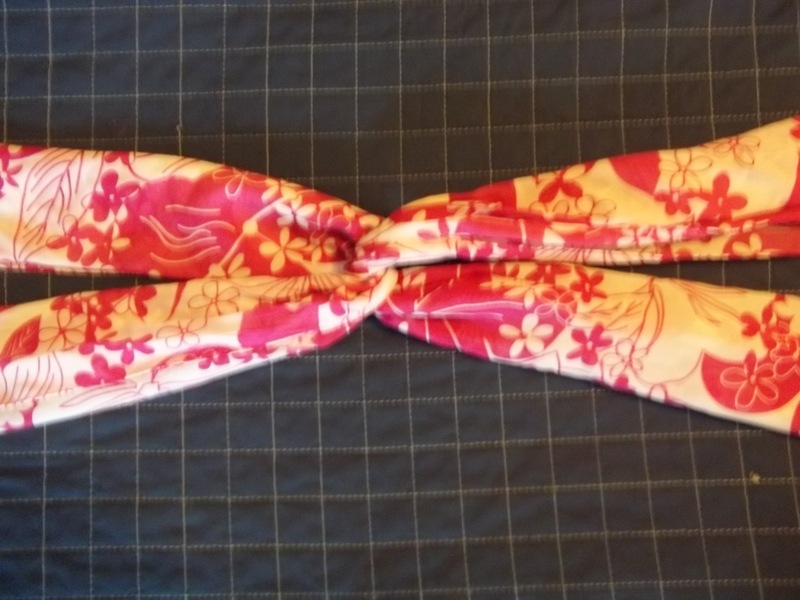 Then I folded each in half again and intertwined them so there is one twist in the center. 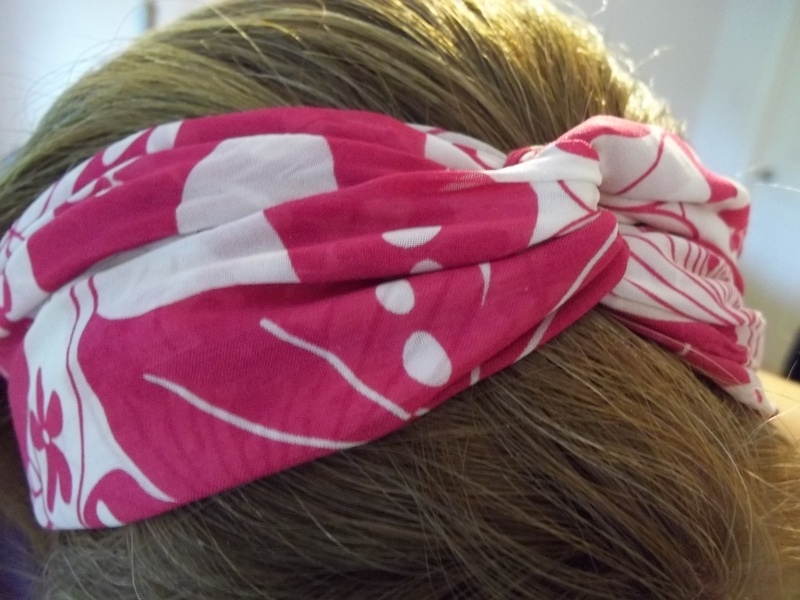 To join the two pieces I measured my head and overlapped the ends so that they would fit around securely without being too tight (A problem I have with other headbands sometimes.) Then I sewed the two ends together, backstitching across the width for extra hold. My favorite kind of project–quick, easy, cute, and practical. I may be making more of these in other colors. I have to admit that while I love the pink, the knit material of the black and white is more comfy to wear. So, if I I make more, I would probably use another knit material that has a little stretch to it. Note to self (and others): It’s a little awkward to take pictures of the top of your own head. Very cute, very easy. My kind of project!